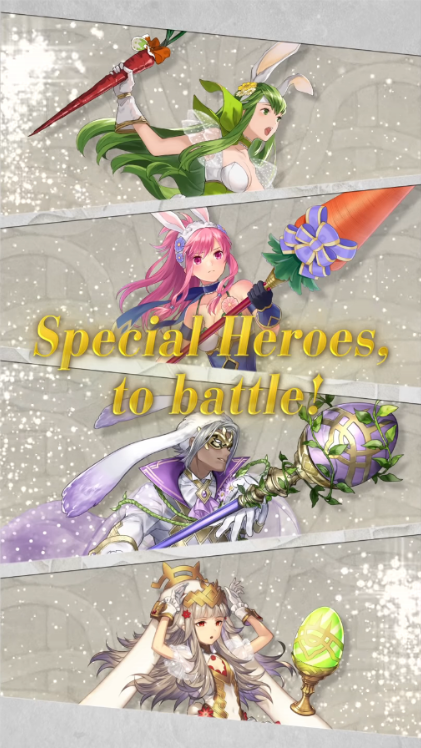 The Regal Rabbits Summoning Focus is now live in Fire Emblem Heroes. You get the chance to summon special Easter versions of Palla, Marisa, Veronica and Bruno. The Summoning Focus will be available for a whole month, until April 19th. Also available are new paralogue missions featuring these special Heroes, as well as time-limited quests that can get you extra orbs.